Shishak, actually Pharaoh Sheshonq I, left his own account of this northern campaign carved into the walls of the Temple of Karnak in Egypt, but he does not mention Jerusalem among the places he conquered. Israeli scholar Yigal Levin’s article “Did Pharaoh Sheshonq Attack Jerusalem” in the July/August 2012 issue of Biblical Archaeology Review examines the historical veracity of both the Egyptian Pharaoh’s account and the Bible’s. The Bubastite Portal includes a large weathered relief in which the pharaoh lists more than 150 towns and peoples he conquered during his military campaign into Israel and Judah in c. 925 B.C.E. Photo: © Regents of the University of California/Courtesy the Digital Karnak Project. Levin points out that if the Egyptian Pharaoh’s records on the Bubastite Portal match those from 1 Kings, “this would be the earliest event in Biblical history for which we have a contemporaneous reference in an extrabiblical source.” Moreover, Egyptian records of Sheshonq’s rule between 945 and 925 B.C.E. could be used to date the reigns of Rehoboam’s father, Solomon, and his grandfather, David. Sheshonq was no modest conqueror (Egyptian pharaohs rarely were) and built a great colonnaded forecourt to the temple of Amun in Karnak, including the famous Bubastite Portal. On the Bubastite Portal, Sheshonq is supported by Amun and other gods as he smites his enemies in Asia, who are bound in the depiction below him. Each prisoner features a name-ring with a toponym, identifying a place that Sheshonq conquered or destroyed. Jerusalem is the only city that Shishak destroys in Kings, but it is not among the surviving toponyms on the Bubastite Portal, which does mention campaigns in Judah, including a mention of fighting in Megiddo. Rehoboam and Jeroboam are also conspicuously absent. More than 150 hieroglyphic name-rings, each represented as a bound and tethered Asiatic captive, give the names of the towns conquered by Sheshonq during his northern campaign. While some of the names clearly refer to towns known from the Bible, such as Arad, Beth-Shean and Megiddo, the identification of others is uncertain, while many names are now unreadable. Noticeably absent from the relief is the name for Jerusalem. Shown here are name-rings from the sixth and seventh rows, in the lower register of the relief, names that are usually associated with toponyms in Israel’s southern Negev desert. Photo: © Erich Lessing. Why was Jerusalem not mentioned on the Bubastite Portal, and why does the passage in Kings mention Jerusalem but not Sheshonq’s other campaigns in Judah? Some scholars believe that Jerusalem’s toponym was erased by time. Others believe that Rehoboam’s tribute to Sheshonq saved the city from destruction and therefore from the Bubastite Portal’s lists. Still others suggest that Sheshonq claimed conquest that he did not enact (Egyptian Pharaohs made false claims about their conquests frequently) and copied the list of conquered territories from an old Pharaoh’s conquest list. Finally, as Kings is a religious text, it focuses on Jerusalem without including full details on the military, history and politics of the surrounding region, though Chronicles tells a fuller account of the Egyptian invasion. Read the full article “Did Pharaoh Sheshonq Attack Jerusalem” by Yigal Levin in the July/August 2012 issue of Biblical Archaeology Review to find out what Levin learns about the chronology and itinerary of Sheshonq’s campaign. It was Heqakheperre Sheshonq IIa who attacked Jerusalem and usurped his father’s (Sheshonq I’s) victory wall, and was later buried in a silver coffin. That also gives a great credibility to the minimalists who claim that Jerusalem was a very small settlement at the time and Judea just a little bit more than a chiefdom. The information for most of the above comes from the Bible, but there is no other evidence. During Iron Age IIA, the time of David and Solomon, Judah appears to have been a backward area, with poor quality pottery. What major urban sites existed in the hill country were mainly on the perifery, Hazor, Megiddo, etc, and there is no evidence that any were inhabited by ‘Hebrews’, in fact the evidence suggests cosmopolitian sites where gods and goddesses were worshipped. The triumphal list indicates that the area around Megiddo was the king’s principal target, and perhaps Philistine power. The Biblical books are religious in intention and written to demonstrate how human behaviour affects the cosmos, i.e YHWH, and how important control of human behaviour is to ensure societal and political stability, but it is not a history. At best it contains folklore gather from the hill country and surrounding territories and reflects other societies as well as Israel When the Philistines arrived in Palestine they burnt existing settlements, and killed the inhabitants, the stories of David might be from Hibiru folk tales, those of Solomon from stories of the wealth of great kings. All serve something of a moral purpose. Saul might, if he had existed, been the warrior chief of the Benjamite tribe in alliance with the nearby Simeon tribe fighting back against the Philistines-and thereby he lived in folklore. A local phenomenon was reguritated as a national one. I am proposing a different chronology for the kings, that before about 740 BC they were using an equinox year, 6 months long. Thus Rehoboam would be from 837 to 825 BC. That was the time of Shesonq III (837 to 773 BC), but there is no record that Shesonq III attacked Jerusalem nor the Levant. Shoshenq’s military campaign to Israel did not impact David and Solomon’s “united monarchy” directly, to create a divided kingdom; this occurred when Solomon’s son Rehoboam was crowned in Shechem and Jeroboam (Solomon’s servant) returned to Canaan. Jeroboam was an ally of Egypt, where he self-exiled with the Egyptian king until Solomon’s death. (Recall, Solomon’s first wife was daughter of Pharaoh; and after one campaign along the coast, gifted his daughter with Gezer. Solomon fortified that city, yet Solomon’s kingdom is described as greater than Pharaoh’s.) Jeroboam instigated the split and ruled “Israel” to the north. 2 Chronicles says Pharaoh took the treasures, and the people became his subjects; and despite being under Egypt’s control, Rehoboam “continued as king of Judah”. This wise political practice of retaining vassal states after a show of force occurred under several Pharaohs of previous Egyptian dynasties; and subsequent kings of Judah continued as kings following Nebuchadnezzar’s invasion. Another interesting observation (I believe) are the areas of servant hood listed at Karnak, following his invasion. Taanakh, Beth She’an, and Megiddo for instance are within the Northern Territory (of “Israel”, under Jeroboam)–so, it seems that Shishak wasn’t partial towards his old ally Jeroboam & the areas he attacked. An addendum: From the partial list on http://m.touregypt.net/featurestories/sheshonq1.htm I find, Yadth-mlk most interesting–not that it implies Jerusalem–but it seems to suggest the place of a king. Melchi/Melech are Hebrew forms of “king; ruler”. Hmm…M.L.K. Did the parents of Martin Luther King know this?! There was a 6-year co-rulership between Solomon and Rehoboam. Thus both Rehoboam and Jeroboam count their rulerships from the time of their divine appointments. Thus Shishak’s invasion in the 5th of Rehoboam occurred in the 39th year of Solomon while Jeroboam was in exile and while Rehoboam was still king over the 12 tribes. This explains the campaign in the northern kingdom cities. 2 Chronicles 12:1 “And it came about that, as soon as the kingship of Rehoboam was firmly established and as soon as he was strong, he left the law of Jehovah, and also ALL ISRAEL with him.” His co-rulership with his father Solomon had become strong by his 4th and 5th years and that’s when he led all of Israel into idolatry, likely putting up pagan idols at all these cities that were subsequently destroyed by Sheshonq. After this we note that Rehoboam was meeting with both the kings of Israel and Judah over this fiasco, proving he was still over the northern 10 tribes at the time. There is no mention of Jeroboam, of course, since he was still in exile in Egypt and would not return until after Solomon’s death to become king over the 10 tribes. 12:6 continues… “At that the princes of ISRAEL and the king humbled themselves.” The “princes of JUDAH” are specifically mentioned in the previous verse 5. For some reason, Bible scholars don’t realize there was a 6-year co-rulership between Rehoboam and his father, Solomon. Shishak’s invasion occurred in 871 BCE, year 39 of Solomon per the Bible, now supported by radiocarbon-14 dating as well as absolute astronomical dating from Assyria and from archaeological dating connected with Jericho. I see that the Hebrew book “Seder Olam” is in English now.Seder Olam (Order of the World) is a Hebrew book many Torah students have and use which starts with the Creation of Adam 5777 years ago , until around 300 AD during the time of the Bar revolt against Rome. We know from here the birth dates and death dates of all the people born who are listed in the Bible, and exact dates as to when each event, war, and celebration happened.https://en.wikipedia.org/wiki/Seder_Olam_Rabbah Being that we Torah Jews know the Torah revealled on Mount Sinai on 6th of Sivan (today is 3rd of Sivan), that all this is the Holy WORD of G-D and Seder Olam was passed on to Moses and the people simply by His revealling the exact day and date of Adam’s Creation. From there on the Bible itself gives exact dates as to the birth of cain and Abel, etc. The sequence of the Biblical narrative makes it extremely unlikely that Shishak could be Ramesses II. Josh. 15:9 and 18:15 mention “Me-nephtoach,” understanding this as “the waters of Nephtoach.” Several Egyptologists and Biblical-scholar-Egyptologists (including Frank Yurco, Gary Rendsburg, and Don Redford) have noticed that the Hebrew understanding is an obvious Volksetymologie of “Me(r)neptah.” (The R in Egyptian “Mer”/”Mery” quiesced, shown for instance in the cuneiform transcription May-Amana for Mery-Amun, Mayati for Meryt-Aten etc.) The association with Merneptah (son and successor of Ramesses II) was forgotten in the Biblical toponym. It doesn’t make much sense then for the Israelites to pass a place originally named for Merneptah in a narrative that considerably precedes the events surrounding Shishak, if Shishak actually would have been Merneptah’s father. Moreover, some years ago Manfred Bietak looked through the old excavation reports of the Chicago expedition at Medinet Habu (the 20th Dyn. memorial temple of Ramesses III) and found a “4-Room House.” Bietak has written about this in several places, including BAR Sept.-Oct. 2003. Of course when it was excavated the Chicago team had no idea what a “4-Room House” was, but they recorded it accurately. Bietak thinks that it provides a chronological anchor for the presence of Israelites in Egypt, and I agree (though my historical interpretations aren’t identical with Bietak’s). If Ramesses II would have been Shishak (at the beginning of the Divided Monarchy), it becomes very difficult to envision the early Israelites in Egypt under Ramesses III, which then would be some time later. It is a flawed methodology to equate Sheshonq 1 with Shishak simply due to the similarity of name. Their campaigns are completely different! Why continue to make this presumption? No mention of Jerusalem? Maybe because it was a poor hilltop village in the stony hills of Judah. The big towns were in the north, like Megiddo. No real evidence yet for the kingdom of David or the empire of Solomon, outside of the Bible of course. Pharoah ‘Shishak’ in the Bible. Although the Bible tells us that Pharoah ‘Shishak’ plundered Jerusalem and carried away the temple treasures (see 1 Kings 14:25-26), there is no record of a Pharoah called ‘Shishak’ in the numerous clay tablets and stone inscriptions that record the names of the kings of ancient Egypt. In the early nineteenth century, great emphasis was placed on identifying the Egyptian Pharoah ‘Shishak’ in order to date the dynasties of Egyptian pharoahs ruling during the reigns of King Rehoboam of Judah and his father, King Solomon of Israel. As the two names sounded similar, ‘Shishak’ was identified by the great Egyptologist Jean François Champollion as Pharaoh Shoshenk I. The traditional system of dating Egyptian pharoahs and events during the United Monarchy and the Divided Monarchy was based largely on this identification. However, more recent examination of the campaign city list (adjacent to the Bubastite Portal on the southern outer wall of the Hypostyle Hall at Karnak Temple) which records Pharoah Shoshenk I’s military incursion into Palestine shows that he campaigned largely in northern Israel, and did not plunder Jerusalem. The Pharoah who is responsible for plundering ‘Shalem’ (or Salem – the old name for Jerusalem – see Genesis 14:18) is Ramesses II. 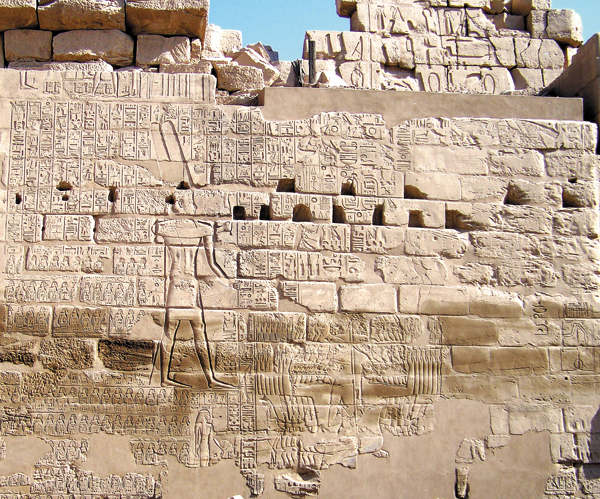 A stone inscription on the north pylon of the monumental gateway at the Ramesseum, Ramesses’ mortuary temple at Thebes, reads, “The town which the king plundered in Year 8 – Shalem”. Although the name ‘Ramesses’ doesn’t sound anything like ‘Shishak’, Ramesses was, in fact, widely known by a nickname – the ‘hypocorism’ or shortened form of his name – ‘SS’ or ‘SySa’, translated into Hebrew as ‘Shysha’ or ‘Shyshak’, meaning ‘the plunderer’, and written in English as ‘Shishak’). The correct identification of Pharoah ‘Shishak’ as Ramesses II means that the United Monarchy of Israel (and the subsequent Divided Monarchy) took place during the reign of pharoahs who ruled some 250 years earlier than those identified in the traditional chronology used since Victorian times. 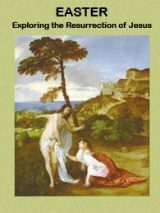 The Bible Journey adopts this more rigorous dating system determined in recent years by archaeologist David Rohl (see The Bible Journey’s section on ‘Dating events in the Old Testament’ @ http://thebiblejourney.org/biblejourney2/22-the-world-of-the-old-testament-journeys/dating-events-in-the-old-testament/ ). Ummm – where in 1 Kings 14 or Chronicles does it state or even imply that Jerusalem was destroyed? In fact if this happened: 2 Chronicles 12:9 (NASB) So Shishak king of Egypt came up against Jerusalem, and took the treasures of the house of the LORD and the treasures of the king’s palace. He took everything; he even took the golden shields which Solomon had made. and then this: 2 Chronicles 12:10 (NASB) 10 Then King Rehoboam made shields of bronze in their place and committed them to the care of the commanders of the guard who guarded the door of the king’s house. 7 When the LORD saw that they humbled themselves, the word of the LORD came to Shemaiah, saying, “They have humbled themselves so I will not destroy them, but I will grant them some measure of deliverance, and My wrath shall not be poured out on Jerusalem by means of Shishak. When Champion attributed the Bubasite portal to the biblical Shishak, only Sheshonq I was known, but there are a dozen pharaohs named Sheshonq. The one who took the spoils of Jerusalem’s Temple would have been buried with great wealth like Heqakheperre Sheshonq IIa (gold mask and silver coffin), the son of Sheshonq I. I propose the alterations to the Bubasite wall were done at the command of his son so that he could share his great victory with his father. Time will tell .Every word of scripture is true. I don’t care what any of you say the bible has been proven too many times to be right on the money.Not one spade of dirt has ever been turned over to disprove one thing in the Bible. Do any of you know the origin of Sheshonq= Shishak? I bet not or you wouldn’t be promoting it any longer. I just don’t believe that 17th century mostly English Protestant scholars, based upon far older European scholars, were so gifted by God. That without archaeological based knowledge they knew Biblical times well enough to insist that their chronology supersedes modern archaeology. I would also like to point out that scholarship in the 17th century couldn’t read Egyptian. The first dating of scripture begins with Josephus, identification of the Shepard Kings as his people the Jews. It was disproved, much later. The next great name in Biblical chronology is Sir John Marsham, 1st Baronet 1602-1682. He is the man that disproved Josephus’ work, and identified Sheshonq I as Shishak. How did he do this? By adding and subtracting cool really scientific, yes! The next great name in Bible Chronology is Rev. Edward Hincks he determined that King Jehu was on the Black Obelisk. Supposedly by translating the original Assyrian, however take a minute to add and subtract Biblical numbers. King Jehu, to Sheshonq, and then Sheshonq, back to Moses you get the 18th dynasty. All you really need is to add and subtract no knowledge, no Assyrian, no archaeology, and no realistic within historical events is needed. It is a shame that the dependence of such an archaic creation, maintains a strangle hold over Middle Eastern history. For there is no need; the real history of scripture when placed in the correct time, magnifies the Lord, in all manners and fashions befitting reality. About the name Shishak: It makes sense that the Egyptian name Sheshonq is the same as the biblical name Shishak. It is quite possible that Sheshonq (who became a pharaoh in 945 BCE) was the commander of pharaoh Siamun’s army who led the Egyptian forces against Jerusalem in 961 BCE, which was the fifth year of Rehoboam described in the Bible according to the Bible-based chronology in my book Sacred Chronology of the Hebrew KIngs. That would mean that Sheshonq I led an invasion into Canaan on two separate occasions, the first time against Judah and Jerusalem in 961 BCE and the second time in 925 BCE against Ben-Hadad of Damascus who was attacking Shoshenq’s ally Baasha of Israel at the request of Asa of Judah. So, even though Sheshonq was not pharaoh (during the reign of Siamun) when he came against Rehoboam, he was pharaoh by the time the scribes recorded that event. The name Shishak thus becomes an anachronism. David Rohl, a ‘fringe” archaeologist, presents evidence that the Shishak of the Bible is actually Ramsess II. This is based on the new chronology for Egypt he presents in Pharaohs and Kings and elsewhere. It is an excellent read and should not be dismissed. Stage 1: Shoshenq’s general Zerah the Ethiopian launched his invasion of Judah by attacking Hebron from the south, overcoming the defenders at that important fortified city. Zerah then attacked the fortified city of Mareshah, or possibly Hebron was not attacked and the fortified city of Mareshah was the point of first attack. In either case, Zerah and his task force were badly defeated by Asa and his Judean army at Mareshah, then were chased south as far as Gerar near Gaza. In the battle, Asa and his Judean forces took much spoil from Zerah and afterwards celebrated their victory in Jerusalem with a feast of thanksgiving, taking an oath to be loyal to God (2 Chronicles 14:9-15). Stage 2: Baasha, king of the northern kingdom of Israel and ally of Egypt, had previously negotiated a non-aggression pact with Benhadad I of Damascus. He was thus free to move against Judah, and did so by fortifying the border town of Ramah to cut off access to Jerusalem from the north, possibly doing so simultaneously as Zerah was attacking Judah from the south. Stage 3: Asa, fearing invasion by Baasha, sent gold and other treasures to Damascus, asking Benhadad to renounce his non-aggression pact with Baasha and attack Israel on its northern border with Syria. Benhadad agreed and sent troops south to fight Baasha, in that way relieving the military threat to Judah as Baasha withdrew his troops from Ramah to defend his northernmost territories. Stage 4: Baasha, now under attack from Damascus in the north, sent to Egypt for help from Shoshenq I, who was still aggrieved at the earlier defeat of his army under Zerah (as indicated from Karnak: “Now, My [Maj]esty found that … [they] were killing … [my soldiers?, and] my army leaders. His majesty was troubled about them”). Not wanting to have Syria overrun the northern kingdom and control all of Canaan, Shoshenq mustered his army and moved to confront Benhadad in northern Israel, skirting the cities of Judah (except Ajalon) before moving northward into Israel to begin his main campaign to protect the northern kingdom. Shoshenq proceeded to neutralize the threat to Israel by Benhadad, then returned to Egypt. Admittedly, the explanation of the campaign into the land of Canaan by Shoshenq I during the time of Asa as proposed above is speculative, but so are all of the traditional explanations that equate that campaign with the time of Shishak and Rehoboam. The advantage of the Shoshenq-Asa scenario, which assumes an invasion by Shoshenq I to defend his ally Baasha of Israel against Benhadad I of Syria after an unsuccessful attack on Judah had been made by his general Zerah the Ethiopian, is that it better fits the details on the Karnak inscription and those in the Bible. Also, the chronology it employs is in agreement with the new chronology of the Hebrew kings, whereas the chronology that results by hypothesizing that Shoshenq I was the Shishak of the Bible who moved against Jerusalem in the fifth year of Rehoboam does not match the facts. 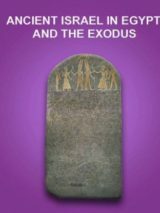 Based on the new kingdoms chronology in this book, Shishak was the pharaoh Siamun (r. 978-959). All of this is explained on my website at http://www.prophecysociety.org/wordpress/?p=338 in more detail than is possible here.